Documents from closed court proceedings in New York have now been revealed and the information found within them suggests that the FBI used hackers to infiltrate websites belonging to other countries. Until now, very little had been known about the cyberattacks, but a recent New York Times article spells out the FBI’s strategy, based upon interviews and documents. 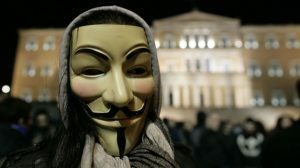 According to the article, a string of cyberattacks against countries like Syria and Pakistan in 2012 may have been carried out by LulzSec hacker Hector Xavier Monsegur, otherwise known as Sabu. During his time as a hacker with Anonymous, Sabu went after targets like PayPal and was eventually arrested in 2011 but continued to work as an informant without his fellow hackers knowing. Not long after his arrest, a deal appears to have been cut between the FBI and Sabu. Though details are still slim and the FBI’s role in the international cyberattacks is not fully known, it is now understood that Monsegur worked with at least one other hacker, Jeremy Hammond. Both have been arrested but prior to their arrest, they were in possession of a long list of foreign websites that could have been vulnerable to an attack. It hasn’t been confirmed but if the FBI learned of the list after the arrest, the agency could have insisted that the hackers help attack those same websites. In 2012, Sabu exploited a vulnerability in the foreign websites, took data from them, and then uploaded that data to a server that was being monitored by the FBI. It had previously been revealed that Sabu turned on his fellow Anonymous hackers after his arrest. Court documents showed that he had decided to help the FBI by putting together a list of identities for some of the people involved in the world’s largest hacker collective. Summary: A former Anonymous hacker, Sabu, was reportedly involved in a string of international cyberattacks in 2012. Following his arrest in 2011, it appears that the FBI used Sabu to carry out the attacks, with at least one other hacker.